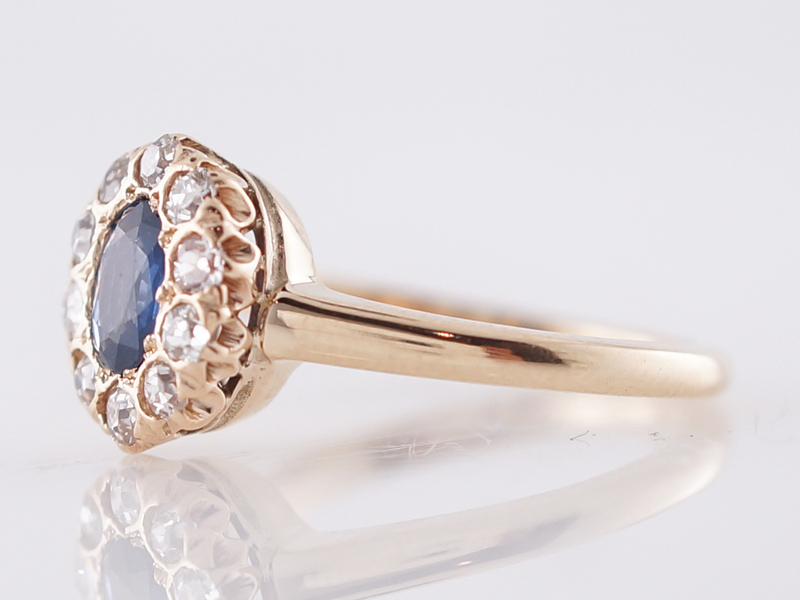 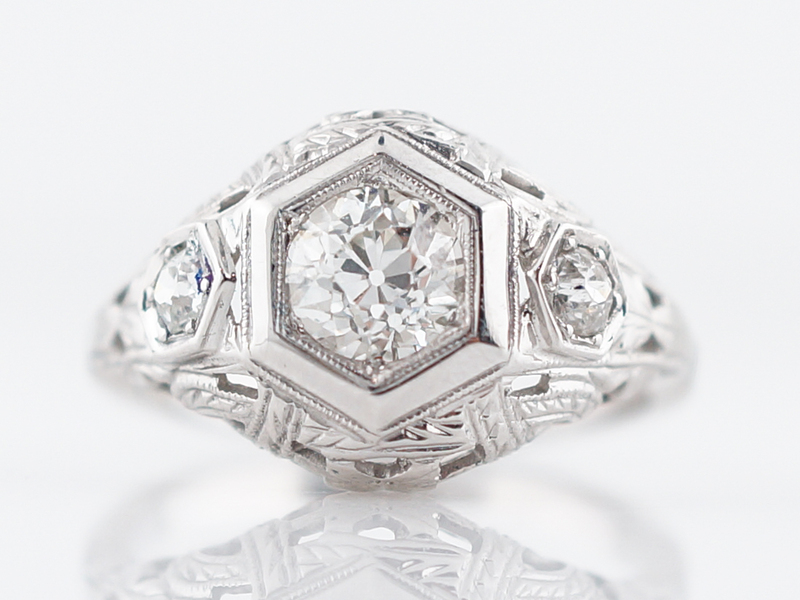 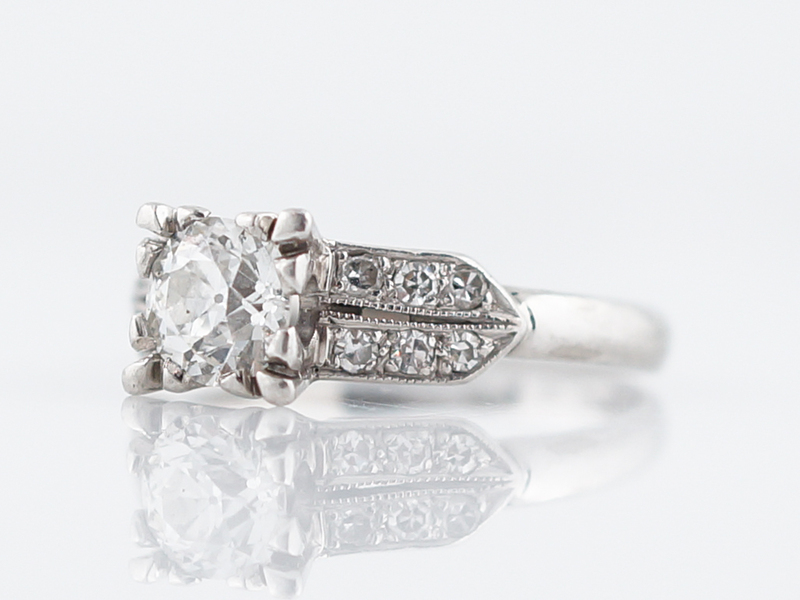 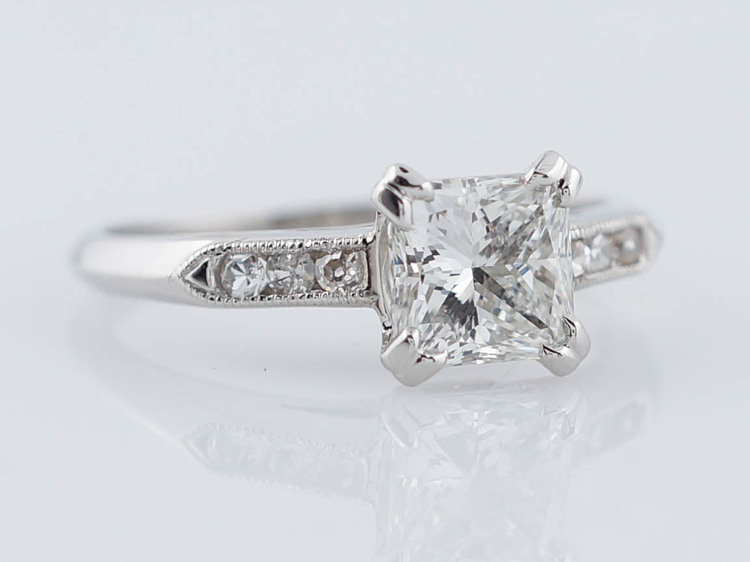 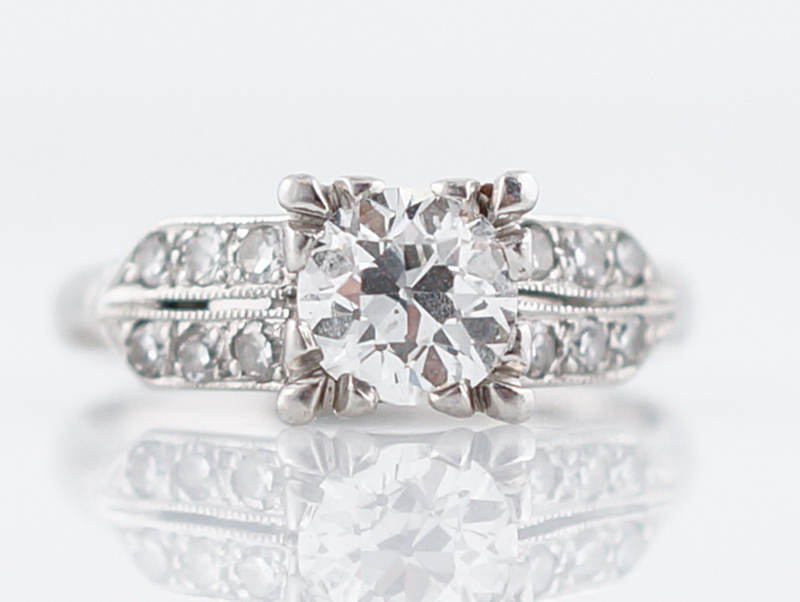 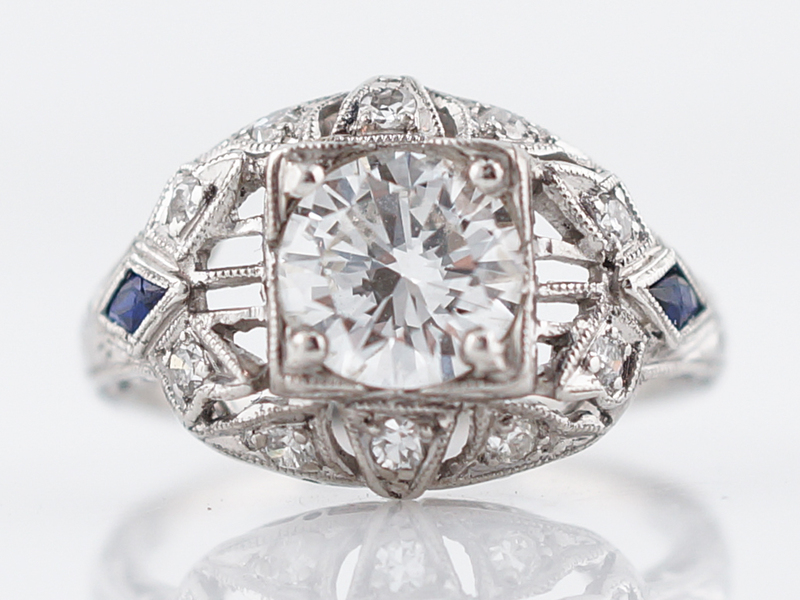 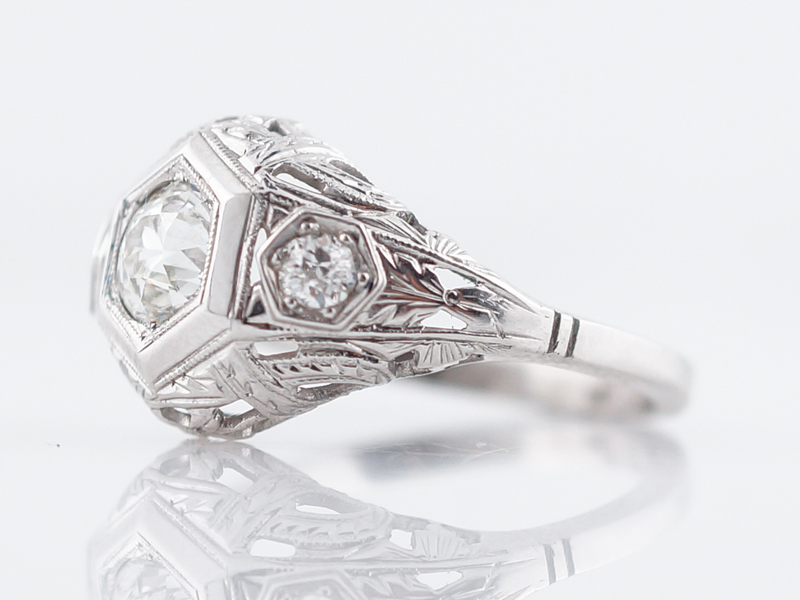 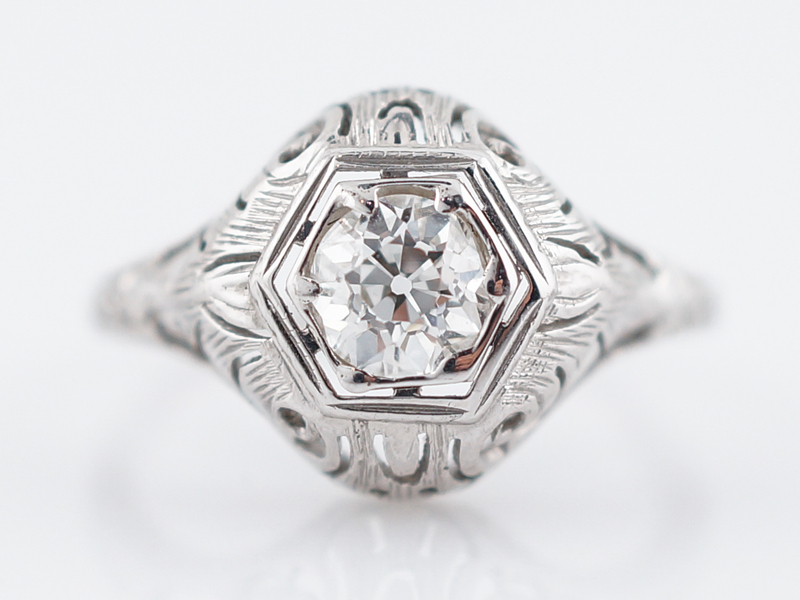 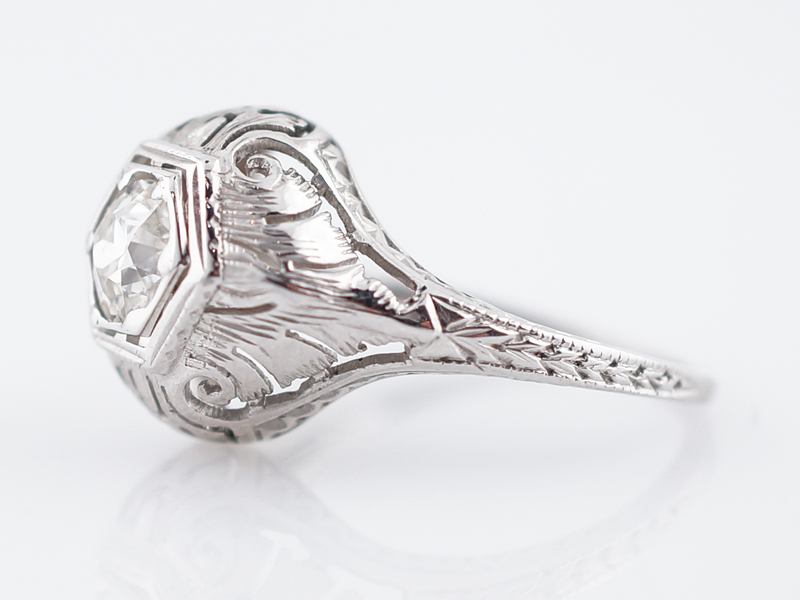 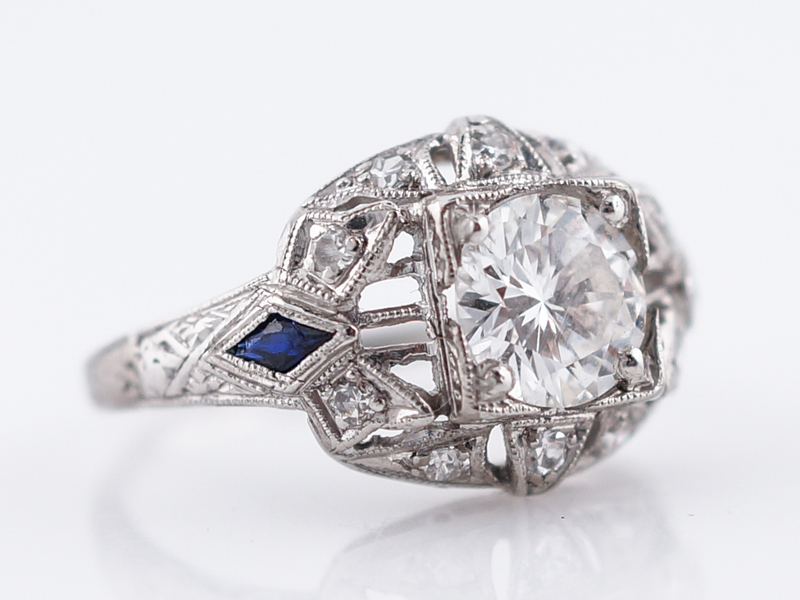 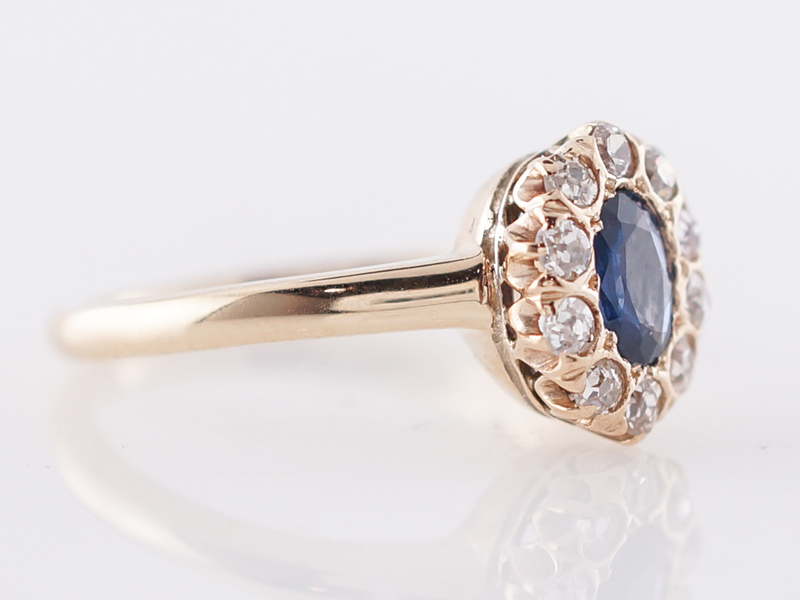 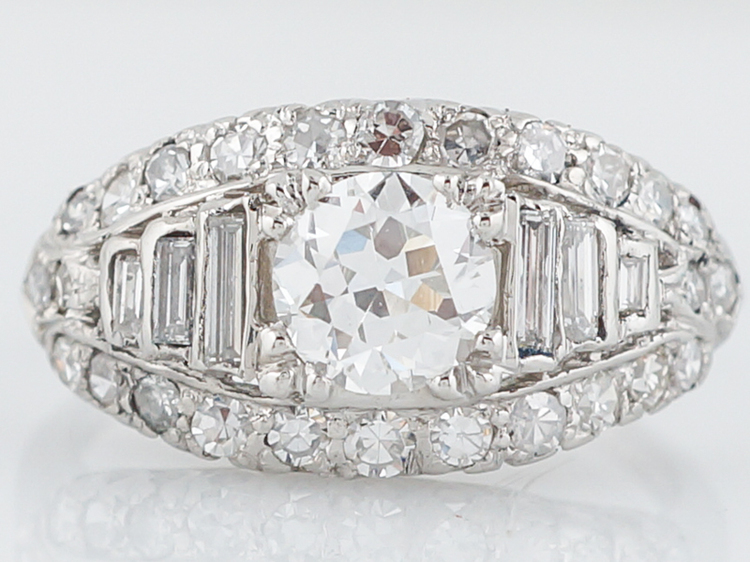 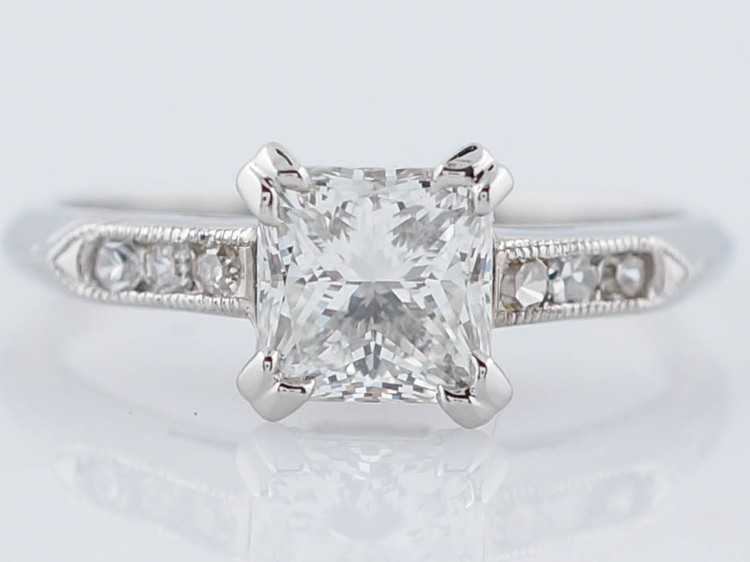 This original vintage engagement ring is from the Victorian period. 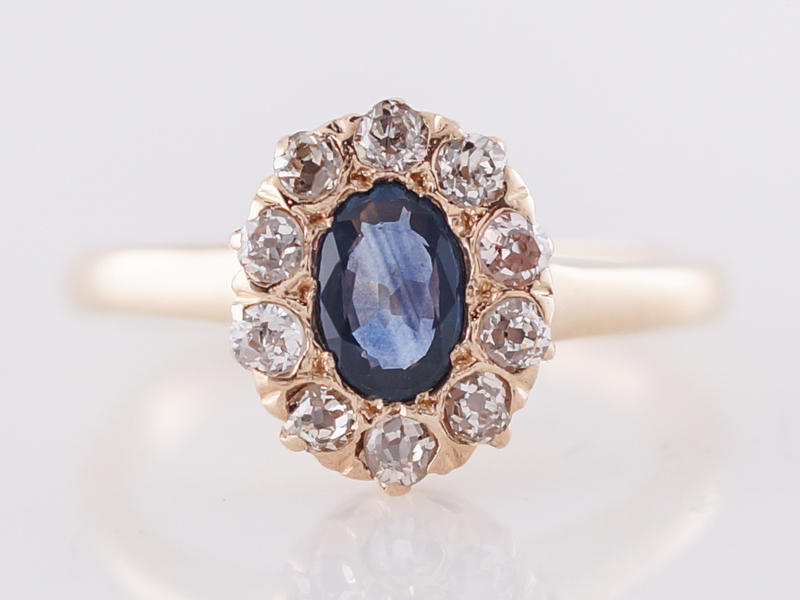 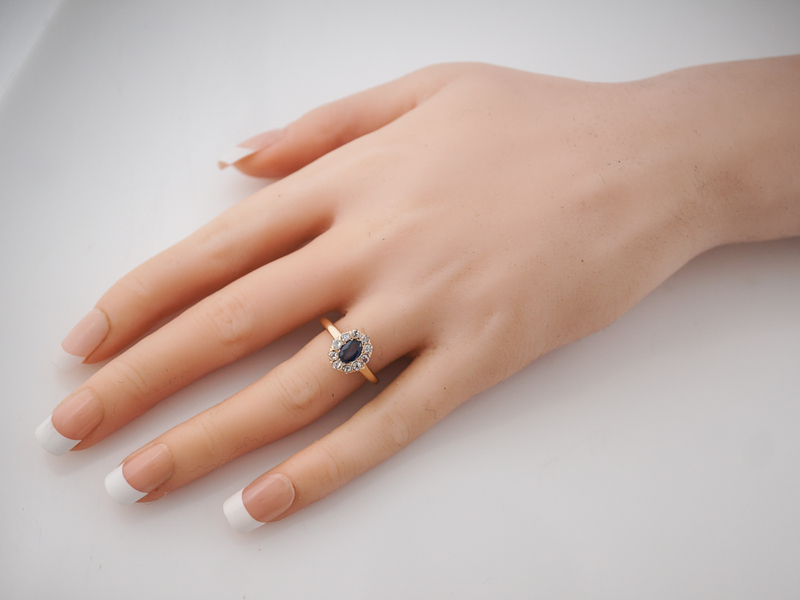 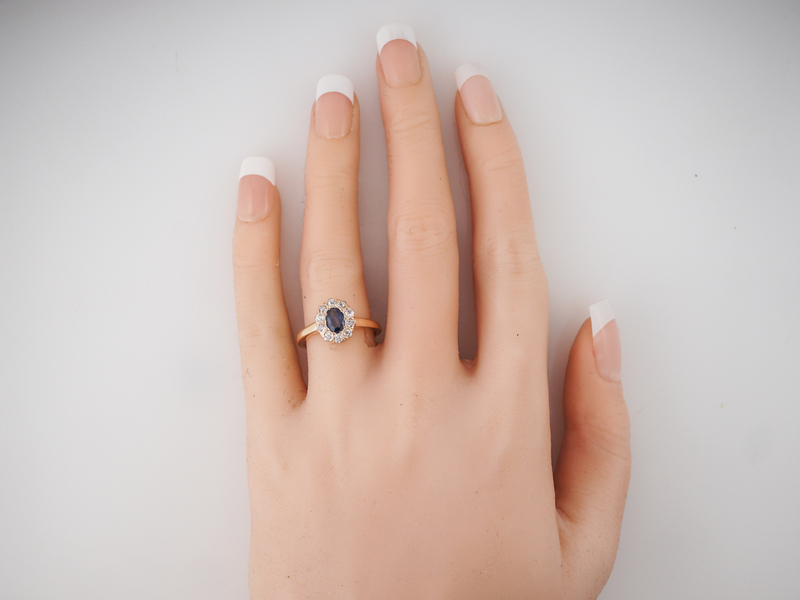 The stone is an oval cut blue sapphire with a lovely dispersion of color. 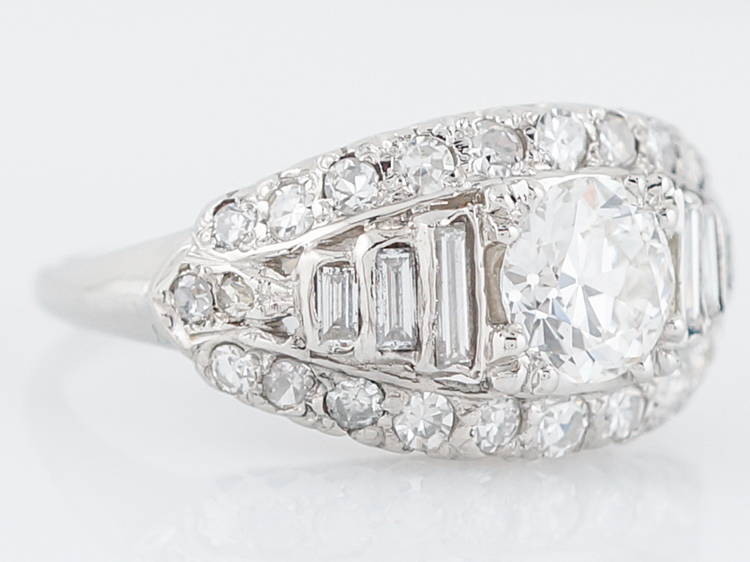 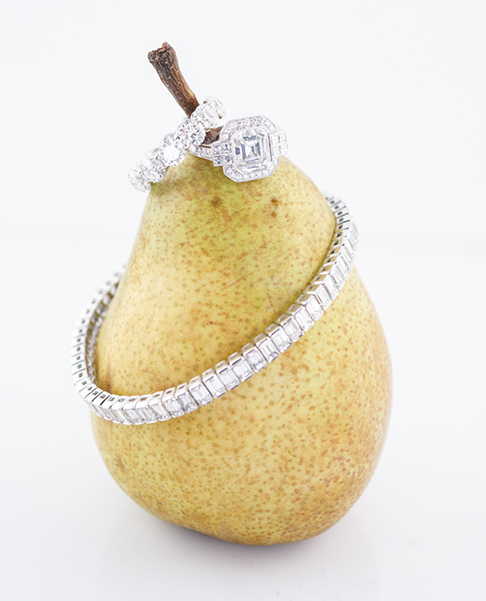 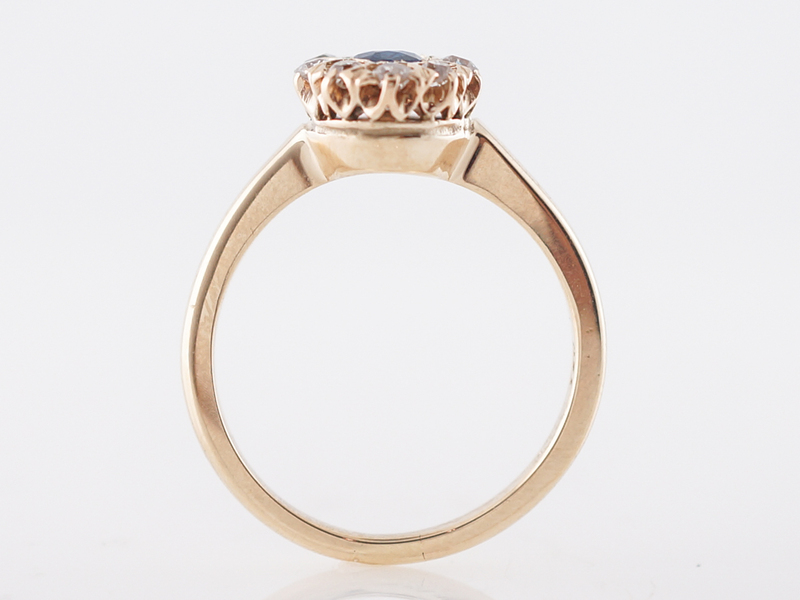 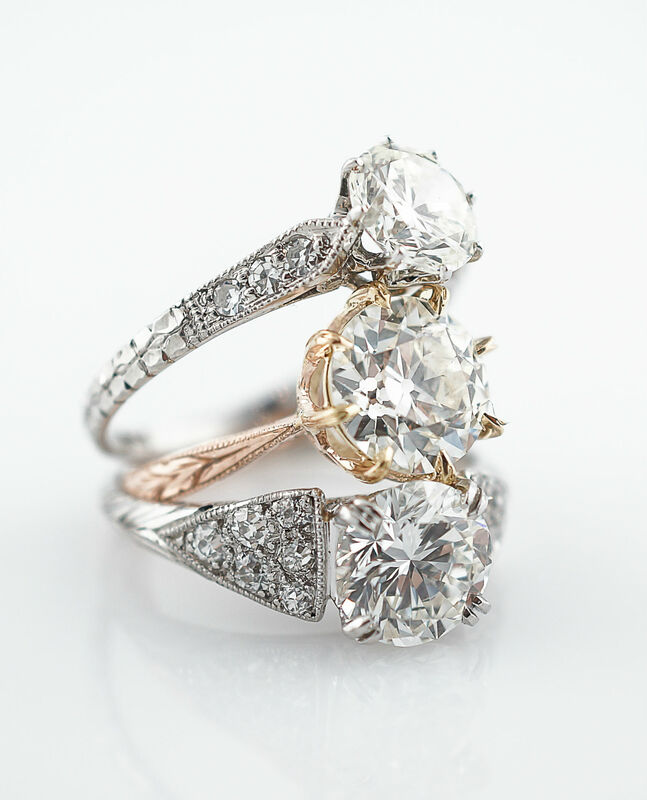 The stone is accented by a halo of old mine cut diamonds that provide a gorgeous sparkle and texture. 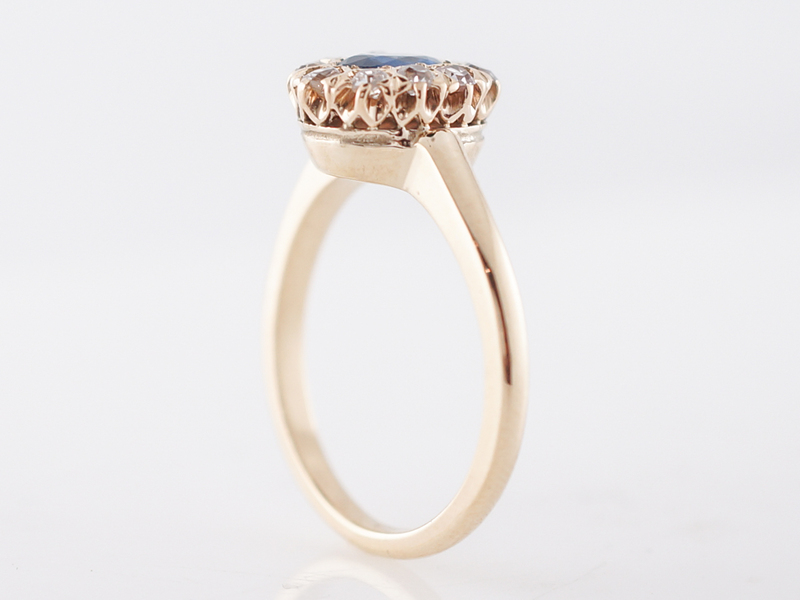 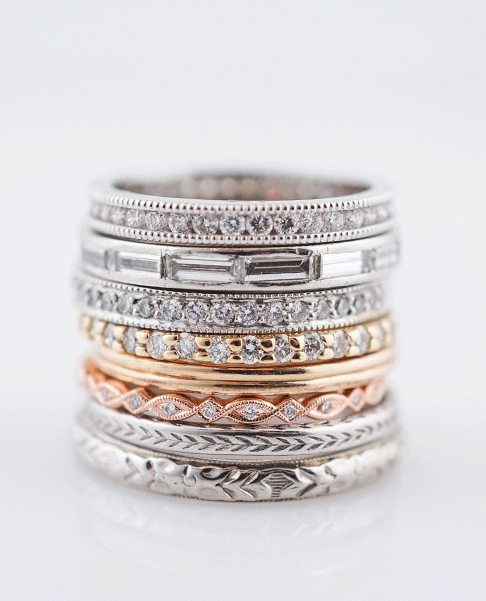 Finished in 14k yellow gold, this ring sits low to the finger and is wonderful for everyday wear.